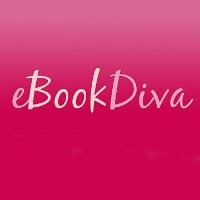 "eBook Diva is an eBook community specifically developed for romantic fiction readers. It presents an eBook store, reader reviews, and a writers community where aspiring authors can submit and share their work." "The Tales of the Diva writers' community was developed to establish a free online presence for aspiring romantic fiction writers. Discover the latest talent and engage with the authors. We encourage feedback on the stories posted. By submitting stories, you allow readers from all over the world to be exposed to your work, and you can receive feedback directly from your audience. Also note that the copyright of all works submitted remains the property of the authors." "Any software, content or other material (collectively, the "content") that is on this site is the copyrighted work of New Holland Publishing (SA) (Pty) Ltd and/or ebookdiva.com and/or its suppliers. Use of the content is governed by the terms hereof. If you do not agree to these terms, please do not use this site. By using this site, you signify your acceptance of these terms." So, basically a publisher that does not (as far as I can tell) actually publish romance is setting themselves up as a third party vendor of romance ebooks, and asking writers to 'share' their work on that site for free. They are doing this in partnership with Mills and Boon (a British publisher wholly owned by Harlequin) who are providing a lot of the initial content and EBookSite who presumably helped with the software. Which leaves me wondering, what exactly is new Holland Publishing bring to the party?